Originally the body of the Humpy was made from tying thread, more modern ties tend to use synthetic fur or antron dubbing. With its buoyant back and wing and very dense hackle the Humpy is a hugh float pattern which is an excellent dry fly for fuse on fast broken waters. The Humpy Yellow is not tied as an imitation of a specific fly or insect. However the Humpy Yellow works well when mayflies are found around fast streams. As the name indicates dry flies which include Humpy Yellow are designed to float on the surface of the water. Trout dry flies types which include Humpy Yellow imitate a wide variery of flies and insects which inhabit the surface of the water. There is nothing like using dry flies and watching trout and grayling rise to the surface. To purists dry fly fishing is the true art-form of fly fishing, indeed some rivers only permit dry fly fishing. There are some dry flies (e.g. the Popper, Muddlers) which are designed to attract fish by the action of creating a surface disturbance. The flies are made from very bouyant materials (e.g, cork, ethafoam or deer hair, the latter having a generous application of floatant). A Muddler retrieved upwind of a rise can often result in a bulge in the water as the fish follows the fly. 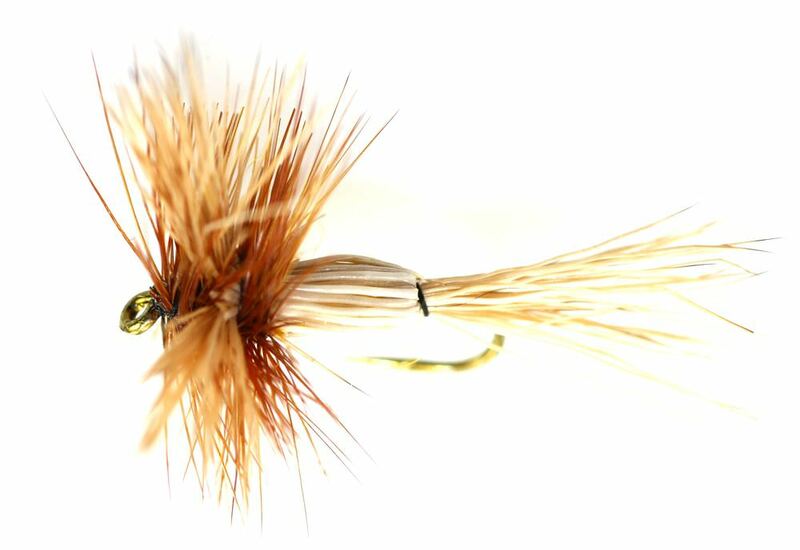 For the more adventurous among you we have provided tying specifications for the Humpy Yellow. Remember at The Essential Fly we sell the Humpy Yellow at incredible prices with a top quality fly and service to back it up. It is certainly worth tying the Humpy Yellow yourself to understand the pleasure of catching a fish with your own tied fly, however at the price we sell flies it is only worth tying one or two Humpy Yellow as your can spend more time fishing instead of tying flies - buy volume online with us.